I want a demo too! 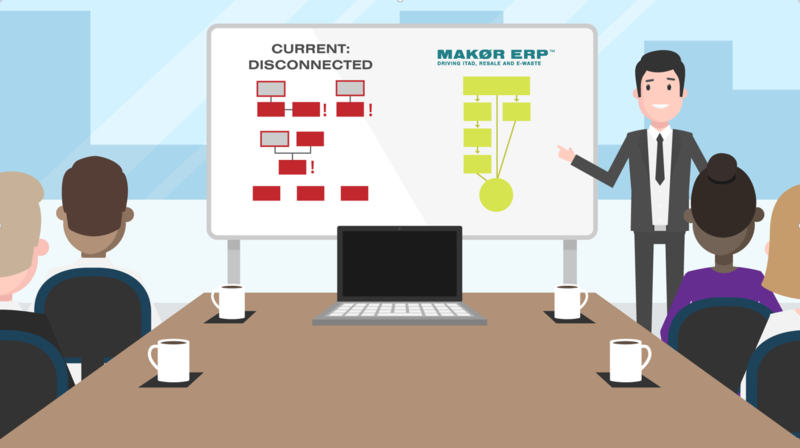 The Makor ERP™ platform has eight core modules that work together to remove the most common pain points companies in your space face each day: lack of productivity; inaccurate inventory; inconsistent level of service; delayed time to cash. 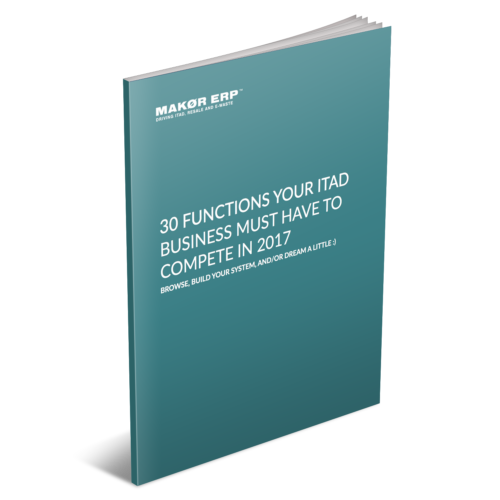 "The Makor ERP™ has proven to be a critical cornerstone to our growth. It has enabled us to replace the patchwork of applications and spreadsheets where we stored our company's data, and transitioned us to a single integrated application where we now manage our customer, contract, pickup, inventory, and sales data. All in all, our investment in Makor ERP™ has streamlined our company and made us more scalable and competitive company in the IT Asset Disposition and electronic recycling industries."